If you need a hip replacement, the last thing you want is more medical complications. You trust that hip implant surgery will make your life better and improve your mobility – not fill your life with added health problems or the need for additional hip replacement surgeries because the first one failed. Unfortunately, that's the case for many patients who received a metal-on-metal hip implant. This type of implant has ball and socket parts made of metal, and it is one of the most common types of hip implants used in hip replacement surgeries today. 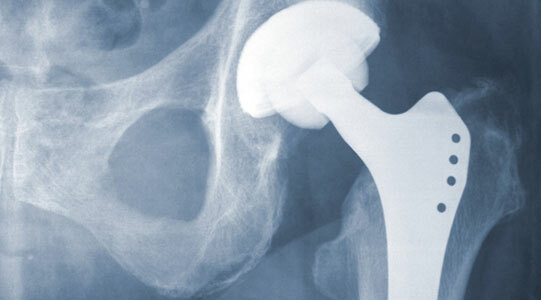 Over 250,000 patients undergo hip replacement surgeries every year – nearly one-third are metal-on-metal hip implants. If you underwent hip replacement surgery, and you suffered from medical complications, you may have received a metal-on-metal hip implant. The metal parts from the implant may be breaking off and entering into your body tissues or causing other major problems to your health. Don't let medical bills continue to pile up as you deal with pain and suffering from your metal-on-metal hip implant. Call your doctor to find out what type of hip implant you received. Then contact our Pennsylvania law firm for a no obligation, free legal consultation. You may have a case, but there's only one way to find out.